Professor Lattery recently traveled to Myanmar to train teachers in model-centered science instruction. 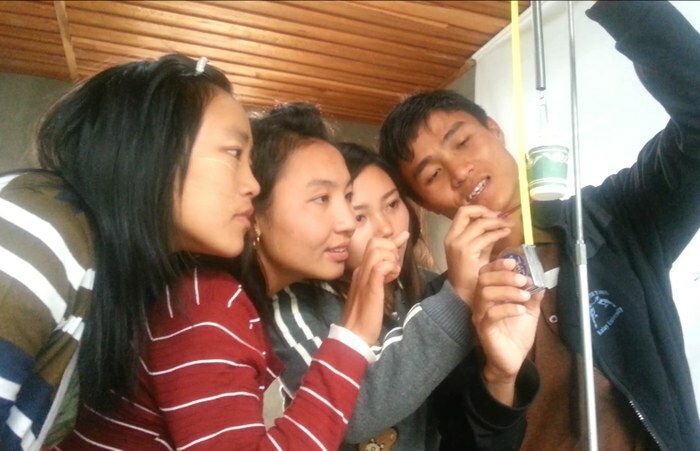 The teachers pictured here are collecting data to develop a data model for a hanging mass on a spring (Fall 2016). 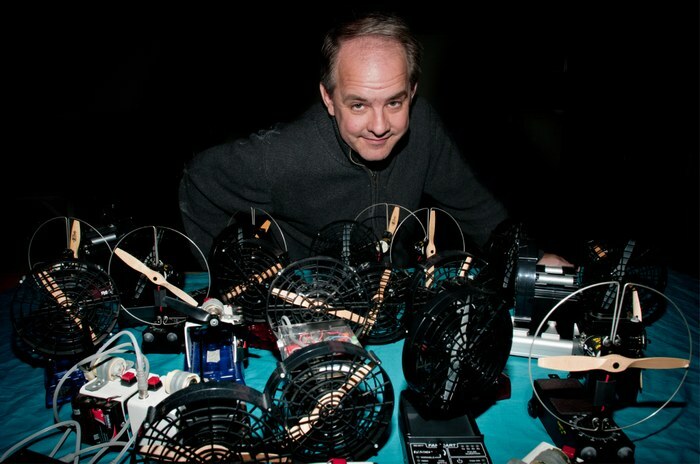 Professor Lattery uses many different types of fan carts in his research on student model formation and development. 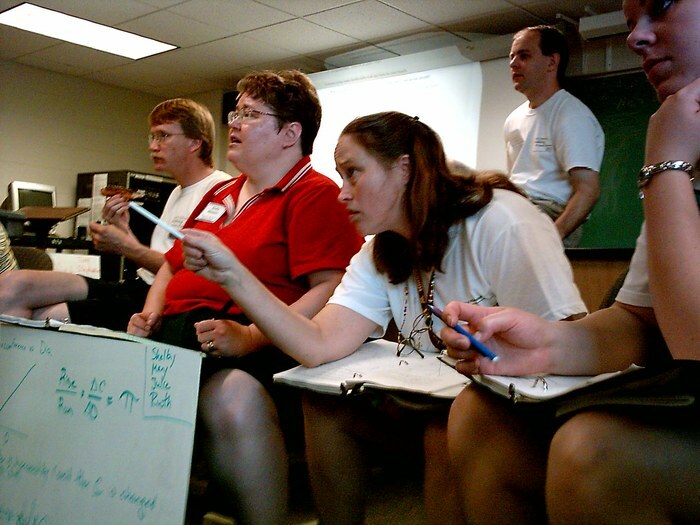 Specialized software called Modeling Aid is used to study student modeling in the classroom. 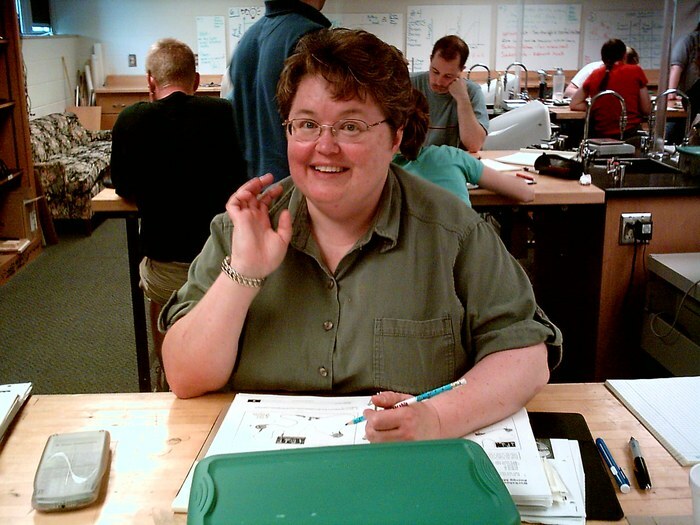 Physical science teacher enjoying her time at the Modeling Physical Science Summer Institute. Professor Lattery (left) and Rick Von Holzen of Wisconsin Custom Machinery, Inc. (right). 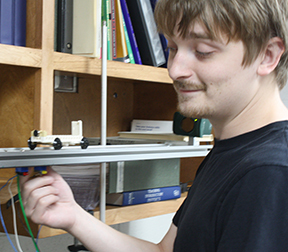 Rick performed vital metal work related to LPEER's research on student reasoning with air-pulsed carts, an example of how UW Oshkosh partners with local businesses to improve education. Teachers engaged in a heated large-group whiteboard discussion! Jaren Hergert (Class of 2019) is working toward a B.S. degree in physics. In the summer of 2017, he programmed an Arduino microprocessor to give a precision rolling cart scheduled puffs of nitrogen. 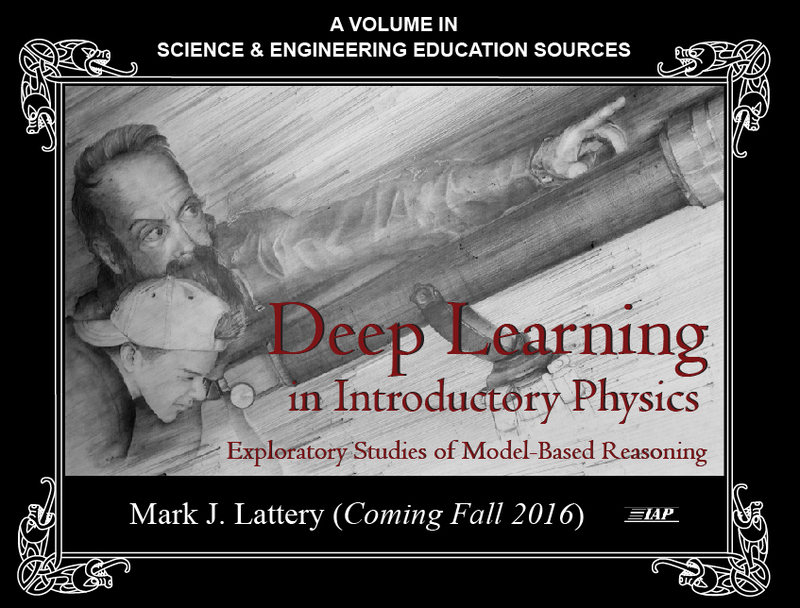 This new technology was piloted in Generall Physics 107 lab as part of Professor's Lattery's research on student model-based reasoning in introductory mechanics.